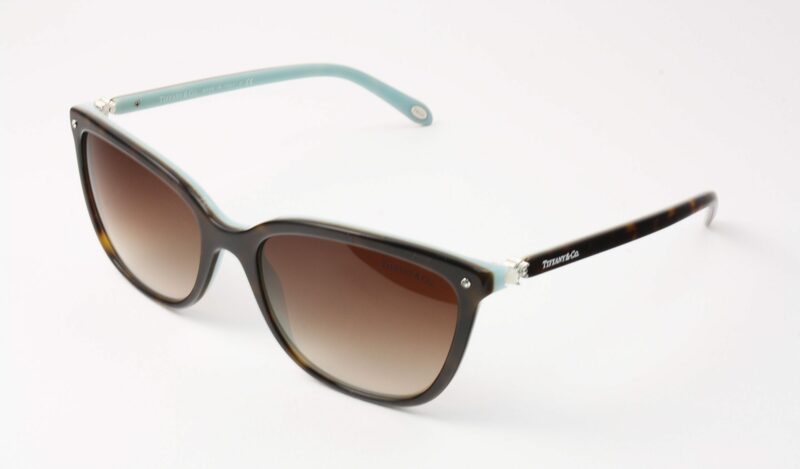 Brown tortoise shell acetate against the classic Tiffany blue with silver and pearl accents and brown gradient lenses. These Tiffany sunglasses are part of the Ziegfield collection which captures the style and sophistication of the 1920s. Brown tortoise shell acetate against the classic Tiffany blue with silver and pearl accents and brown gradient lenses. 100% UV protection and anti-glare coating. 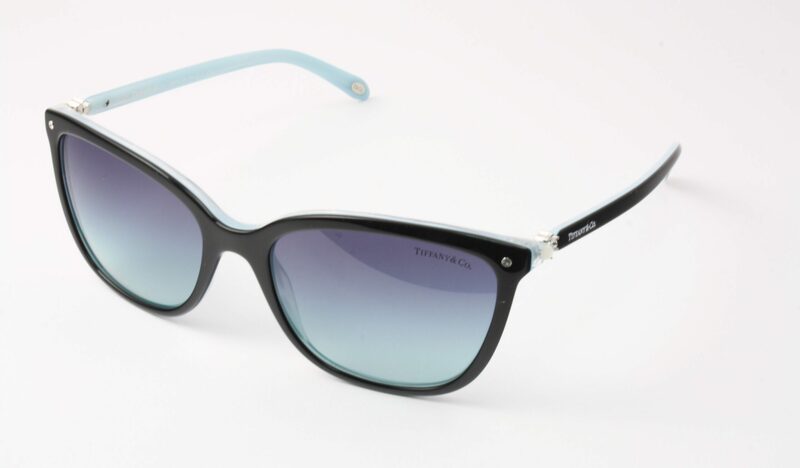 This Tiffany sunglass model includes a duck egg blue hard case with cleaning cloth. Free delivery with all sunglasses at sunglasses direct. An extra service can be chosen for next day delivery.